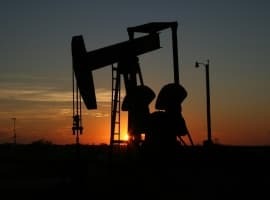 The United States oil rig count jumped by 21 this week, to its highest level since September 2015, according to Baker Hughes’ latest rig on domestic drilling activity. The number of oil rigs currently active in the United States now sits at 652, which is an increase of 280 year over year. The sizeable jump in rigs signals an indifference by American shale producers towards warnings issued by the Saudi Arabian leadership against increased production. The KSA, which serves as the de facto leader of the Organization of Petroleum Exporting Countries (OPEC), entered into an agreement with its fellow bloc members and 11 NOPEC nations to cut production by 1.8 million barrels. So far, Riyadh has been doing the heavy-lifting, while its partners cut less than expected and enjoyed higher profits from an oil barrel stable above the $55 point. But cheap shale output from the U.S. threatens the effectiveness of the OPEC agreement, which aims to eliminate the supply glut. Gas rigs were down by two to 155, an increase of 63 over a year ago. 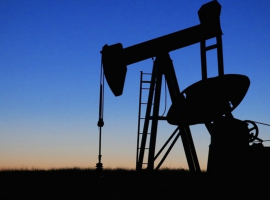 State-wise, Texas and Oklahoma gained eight and seven rigs, respectively. New Mexico saw a three-rig rise, while Alaska, California, North Dakota, Pennsylvania, and West Virginia gained one each. Related: Will Russia Ditch Its Ambitious Oil Tax Reform? The Permian Basin saw the most number of rigs added, bringing 7 additional rigs online to reach 315. The Permian Basin now has 168 more rigs in production than this time last year. Cana Woodford, Eagle Ford, and Marcellus Basins all saw 2-rig increases, and Barnett, Granite Wash, Mississippian, and the Williston Basin all added one. There were no decreases this week in the number of operational rigs per basin. By state, Texas was the biggest winner this week with an additional 8 rigs, with Oklahoma coming in a close second with an increase of 7 rigs. Will Iran Cut Production If OPEC’s Deal Is Extended? "The number of oil rigs currently active in the United States now sits at 652". This is FALSE. Number of active rigs is 809 in US.